The runner wrestled with a juvenile lion estimated to weigh 80 pounds before suffocating it to death in a park west of Fort Collins. On Monday, a runner in Colorado had an encounter with a juvenile mountain lion. The man fought off the cat, and hiked to safety where he was transported to a hospital. The human made it. The wild animal did not. Below, what happened, and tips on what you can do if you or your pets encounter a wild animal predator. The runner apparently sustained “serious, but non–life threatening injuries” in the attack, and despite his wounds, he managed to run out of the park and get to a hospital for treatment. A necropsy of the animal this morning confirmed that the lion was suffocated. 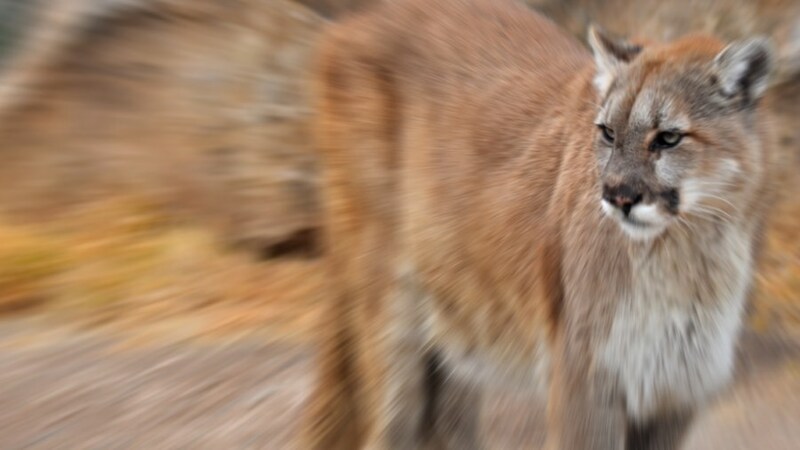 Colorado Parks and Wildlife officials confirmed the man's account of the attack through further investigation and examining the juvenile mountain lion. A necropsy was performed Monday night on the mountain lion to determine if it was sick or injured, which might have prompted the attack. CPW officials said they expect to have results of the necropsy either today or Wednesday. Mountain lion attacks on humans are rare. The best way to protect yourself is to keep your distance and not approach wildlife. Use the rule of thumb: If the animal is small enough to cover with your thumb, you're at a safe distance. If you find yourself too close to a mountain lion, CPW suggests you back slowly away if you can do so safely. Raise your arms and open your jacket if you have one. Hold small children in your arms, if you have a youngster with you. Speak calmly to the lion in a firm tone of voice. If the lion approaches you or is acting aggressive, wave your arms and throw stones or whatever you can reach without turning around or crouching. In the unlikely event of a cougar attack, fight back with whatever you have on hand and try to stay upright.